Michael Colucciello, MD is the retina-vitreous specialist in private practice at the South Jersey Eye Physicians. Dr. Colucciello performs consultations and renders therapy for medical and surgical diseases of the macula/retina and vitreous. Michael Colucciello MD is the medical and surgical retina specialist at South Jersey Eye Physicians. 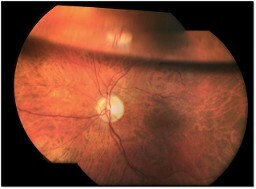 Dr. Colucciello’s 12 years of training through college, medical school, internship and ophthalmology residency was followed by 2 additional years training to diagnose and treat diseases of the retina at the University of Pennsylvania (where he retains a faculty appointment of Clinical Associate). Since then, he has nearly a quarter of a century of experience practicing the retina subspecialty exclusively. Dr. Colucciello is a member of the Retina Society and the American Society of Retina Specialists. He is a fellow of the American Academy of Ophthalmology and a member of the American Medical Association. Dr. Colucciello is a member of the New Jersey Academy of Ophthalmology and New Jersey Medical Society; he is a past President of the Burlington County (NJ) Medical Society. Dr. Colucciello is currently a section editor for the journal Retinal Physician, as well as a scientific reviewer for the American Journal of Ophthalmology, and the journal Retina. He serves on the Editorial Board for the journals The Physician and Sportsmedicine and Postgraduate Medicine.